Pinterest pin button may not be displayed when using sh404SEF button tags inside content. 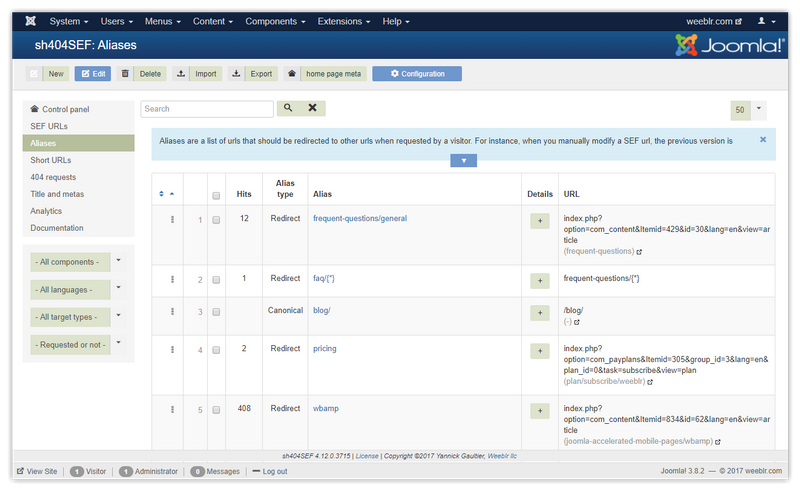 Added a filter on the global configuration object. Using Joomla cache can sometimes lead to page corruption when OGP data image tag is enabled. Font file for drawing Analytics graphics was damaged during packaging.